Maximize water movement and eliminate stagnant areas in ponds and water gardens. 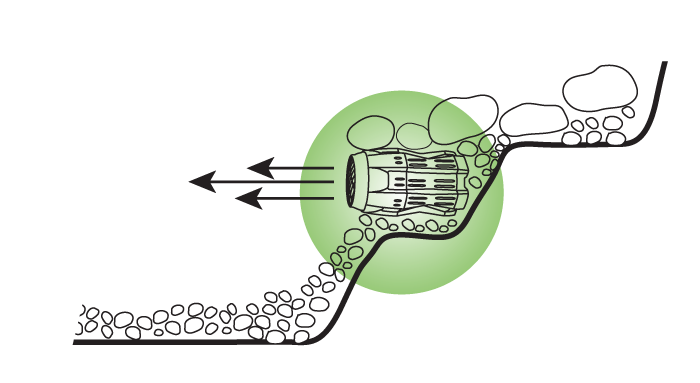 The Aquascape Pond Powerhead is an innovative, low-voltage pump designed to create water movement and eliminate stagnant areas in ponds and water gardens. 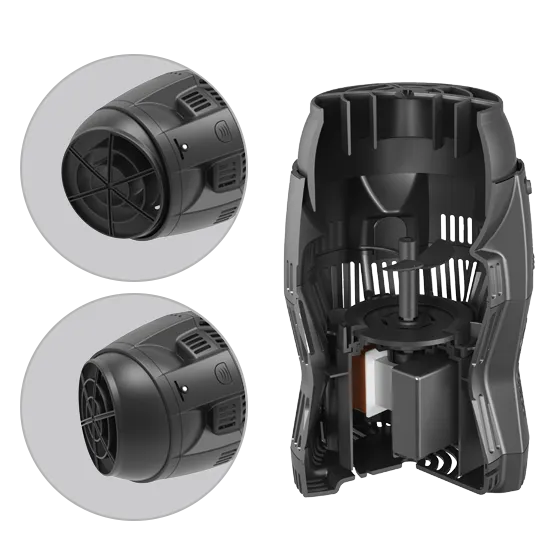 This pump does not require any pipe or plumbing, simply set the powerhead directly in the pond or disguise it using rocks or other materials. 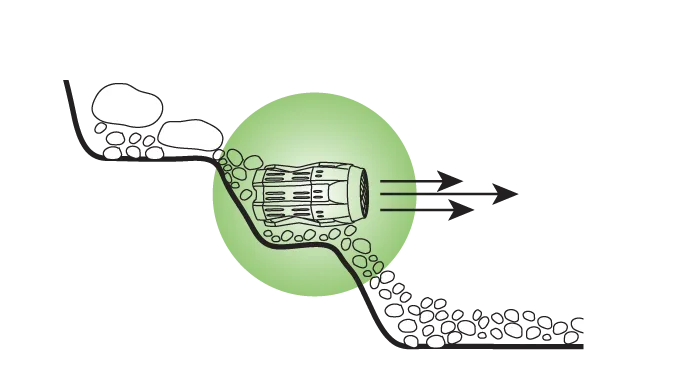 The Pond Powerhead is great for solving problems with stagnant water and unsightly buildup of decaying debris, providing circulation, surface agitation, and aeration. Powered by a standard 12-Volt Transformer (not included). 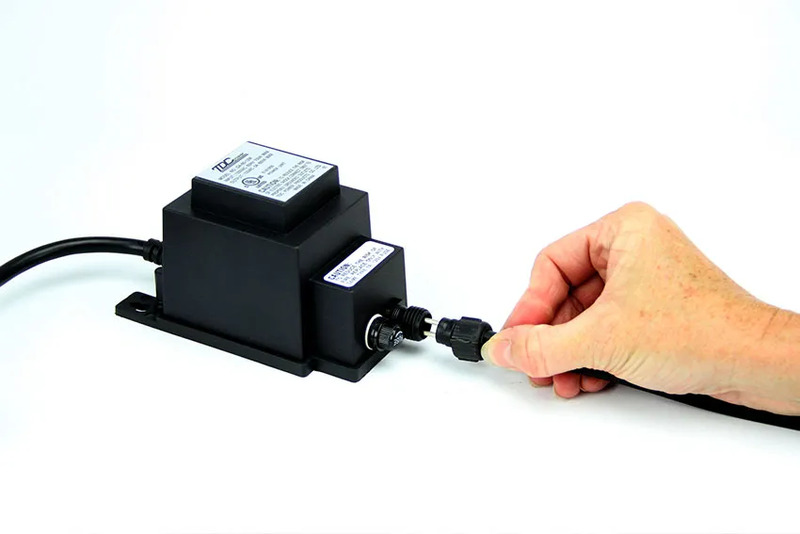 The quick-connect fitting simplifies installation when used with an Aquascape transformer which can be purchased here. 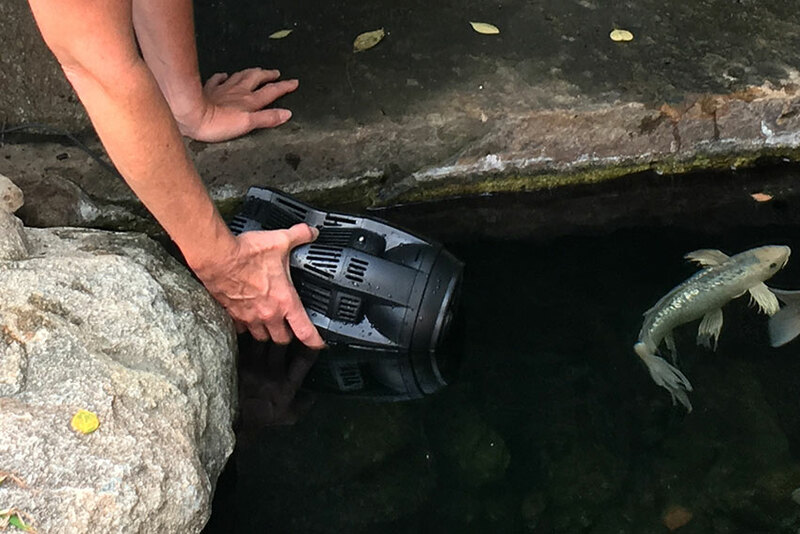 The Pond Powerhead can be used alone or with additional Pond Powerheads to maximize circulation in larger water features. Use Aquascape Quick-Connect Splitters and Extension Cables for quick and easy installation of multiple units. 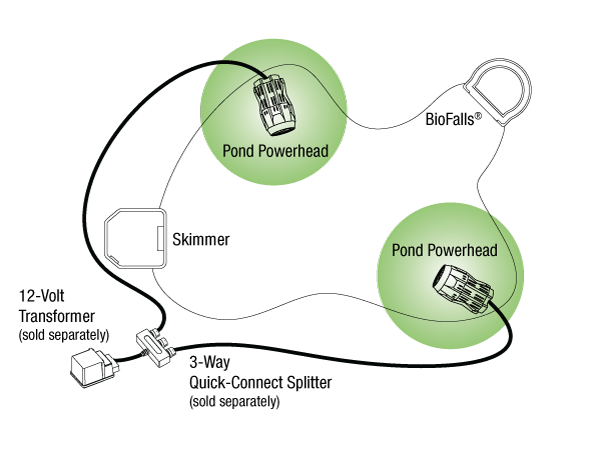 Set the Pond Powerhead in the desired area of the pond or water garden. 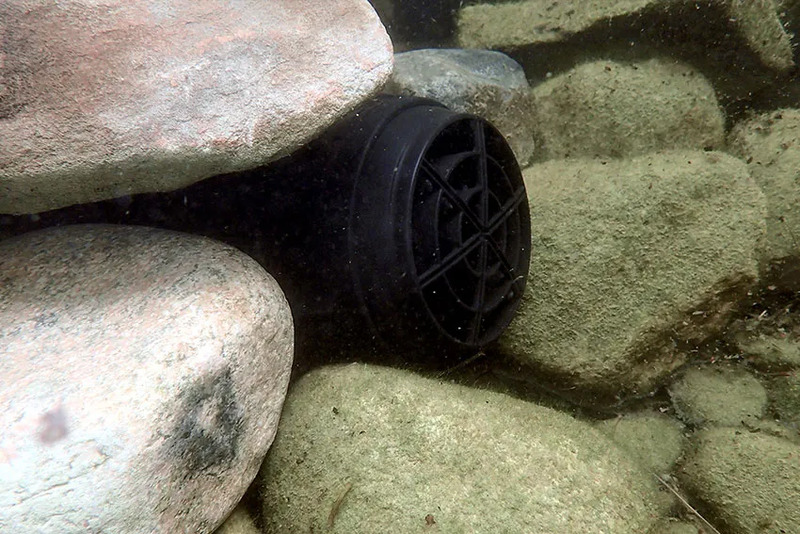 If desired, use rocks or other materials to disguise the Pond Powerhead. Connect the quick-connect fitting to an outdoor, 12-volt transformer (not included). Plug the transformer (not included) into an external GFI-rated electrical source.